Wet N Wild is an inexpensive health & beauty store — primarily featuring cosmetics. ShopSleuth found 66 health & beauty stores similar to Wet N Wild, out of our database of 45,744 total stores. The following stores offer the closest match to Wet N Wild based on our proprietary matching algorithm. Submit your vote below to help us refine our Similarity Scores and rank the stores and brands most like Wet N Wild! Avon is a online and catalog based retailer that offers exclusive lines of beauty products, make-up and jewelry to women of all ages. Avon understands good product, customer service and tradition. All Cosmetics Wholesale is a beauty product wholesale retailer. All Cosmetics Wholesale provides discounts on high-end beauty, skincare and fragrance items such as NARS, MAC and Clinique. BH Cosmetics is a cosmetic line offering high-quality lip, eye and face makeup at affordable prices. Featuring quality ingredients from Europe and Japan, each formula is developed for superior wear. A must-shop place for all makeup lovers, Cherry Culture offers a wide range of beauty products and cosmetics at affordable prices. It has the hottest and newest products and the latest beauty trends. Coastal Scents is a luxury bath and beauty product brand. Coastal Scents carries natural body products such as soaps and oils as well as make-up and brushes. ELF is an online beauty destination committed to taking a holistic approach to make-up and skincare. ELF cosmetics are designed to improve and accentuate a woman's features without hiding her away. MUA is a makeup brand that offers a full range of affordable cosmetics. MUA is inspired by the playful use of color and offers value priced products to appeal to every woman. NYX offers a broad range of professional makeup, from eye shadows to foundation, brushes, false eye lashes and lip glosses. NYX gets its name from the Greek goddess that ruled the night. Beautycrunch is a discount beauty shop that offers artistry brands at low prices. The company has a storefront in Pasadena, California. IKateHouse is a USA based beauty retailer, offering brand name cosmetics at low prices. 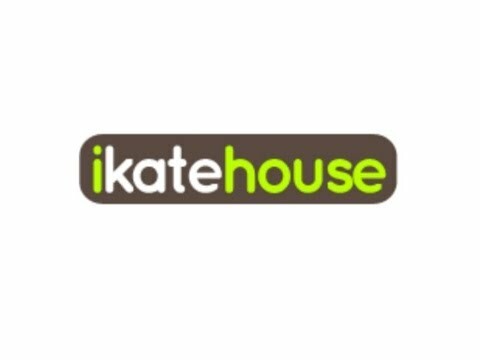 IKateHouse also carries, a full line of skin and beauty care and fashion forward accessories. Ricky's NYC is an ultra-hip accessory, cosmetic and beauty supplier that stocks over 900 brands. Ricky's is geared toward edgy trendsetters, and has drawn inspiration from NY's urban chic culture. A must-shop place for all makeup lovers, Beautyjoint has a widerange of beauty products, hair products and cosmetics at affordable prices. Clinique offers a high-end line of beauty and skin-care products for men and women. Offering products that are allergy-tested and fragrance free, Clinique is committed to quality and safety. Sally Beauty Supply is the world's largest retailer of professional beauty supplies. Sally Beauty carries over 7,000 professional grade products from hair color to skincare, nail care to beauty. Elizabeth Arden is one of the most recognized names in beauty and skincare. Elizabeth Arden offers luxury, service and a vast array of products including, skincare, makeup, and fragrances. bareMinerals is an innovative beauty brand that creates a luxury foundation made with pure minerals and zero additives. bareMinerals is inspired by the notion that beauty can change the world. Bare Escentuals is a beauty brand that believes cosmetics can actually be good for you. Bare Escentuals products are inspired by the idea that makeup can have a positive effect on the way you feel. Forever Beauty is an environmentally friendly beauty brand that sells cosmetics, skin care, and makeup tools. Forever Beauty is inspired by the idea of beautifying the mind, body, and spirit. Deep Sea Cosmetics takes a biological approach to skincare. Deep Sea Cosmetics specializes in salt based products that hydrate and revitalize skin. The Cosmetics Company is an outlet for all your skincare needs. The Cosmetics Company offers a full line of quality skincare, cosmetics and make up at a lower cost. Wet N Wild is a cosmetic brand for daring make-up lovers who aren't afraid of making a bold statement. Wet N Wild sells prestige-quality make-up at low prices.